CP Cases has announced it will be attending the Defence Procurement, Research, Technology and Exportability (DPRTE) 2019 event being held at the Farnborough International Exhibition and Conference Centre on 28 March 2019 in Farnborough, England, UK. DPRTE is the UK’s leading defence procurement and supply chain event and showcases some of the latest products and developments in the industry. The event will also feature an innovation zone, keynote arena, and defence procurement pavilion. 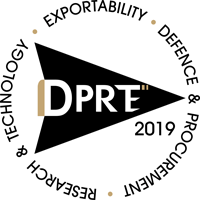 DPRTE 2019 is an excellent opportunity for attendees to learn about some of the latest products available on the market, as well as enhance their knowledge and collaborate with other key companies in the UK defence sector. CP Cases can be visited at stand 80a at the event, where company representatives will be on hand to discuss the company’s range of protective cases for use in military applications.